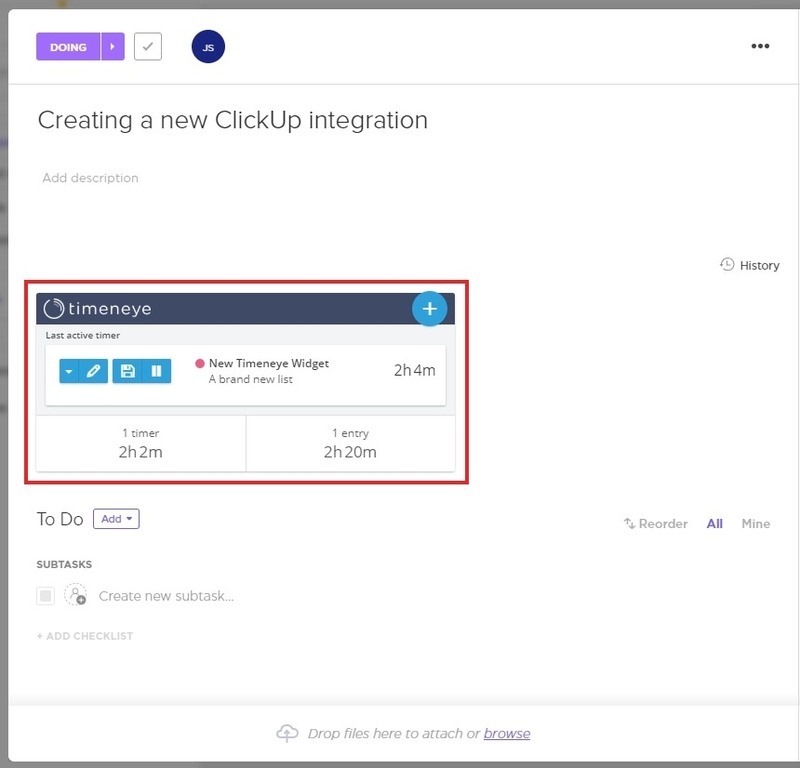 Connect your ClickUp account to Timeneye. 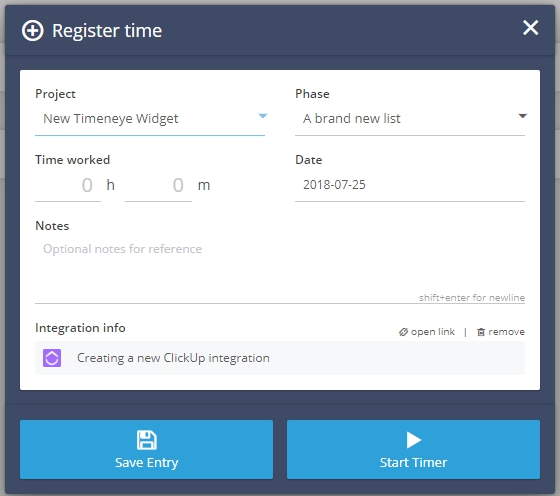 Admins can do this from the Integrations section of their Timeneye account. Import and link your ClickUp Projects and users. For more details on steps 2-3, please see this doc from Timeneye! 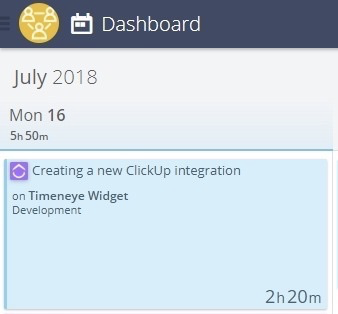 You will then see a Timeneye symbol automatically displayed on your ClickUp tasks! Here, you can add time manually, or start/stop a timer. You'll also be able to select from the ClickUp Projects you linked to Timeneye earlier. Time tracked in the box will be reflected in your task description section once you open it up! Information on our other time tracking options can be found here!